Steven’s album is now all packaged and ready to get physical, Olivia Newton-John style. Here’s the super cool poster Greg Maxwell made for the CD release show on February 7th. I think it’s a Friday. 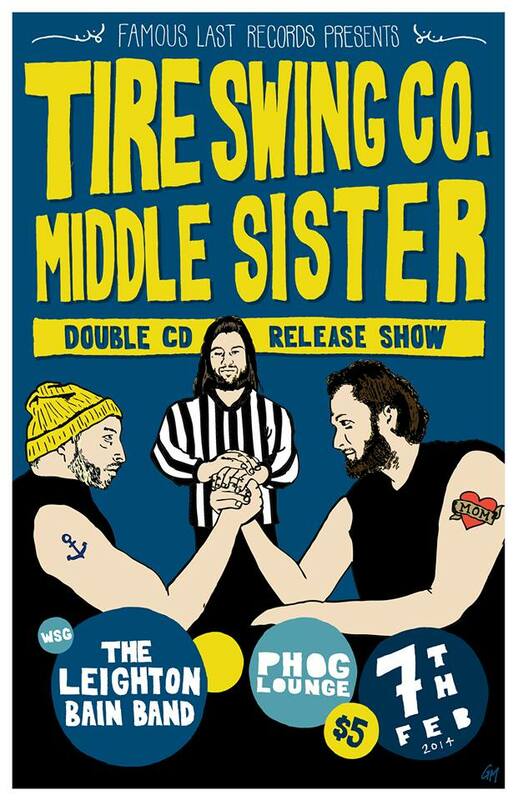 Middle Sister (who are releasing an EP of their own that night) and Leighton Bain will also be playing. There’s a facebook event page HERE. The Tire Swing Co. set will be a full band performance, and some person who looks like me will be making some piano and guitar-related sounds.